What is Money Phone and how will it change the way you do business? Money phone uses a combination of simple text messages, short 1 minute videos and advanced psychology (but not icky, annoying, salesy tactics) to access high-quality prospects, get their attention, engage with them, gain their trust and get them to say YES. The bottom line is if you can copy and paste, send a text message, take a picture or shoot a 1 minute video on your smartphone, Money Phone can make you money starting now. In fact, with the included video training, you’ll see the EXACT strategies and get the EXACT scripts I’ve used to close $2,700, $7,700, $19,000 and $81,000 deals with text messages, short videos and my smartphone. If you don’t have a list, you’ll love this bonus because you can start getting and closing deals right away. Who am I and why should you listen to or trust me? I’ve been consulting, advising, building, growing and selling businesses since I was 16 years old. I’ve helped over 50,000 businesses over the course of 30 years who have purchased my products, coaching and consulting services and software tools. Over the course of my career, I’ve sold well over $50,000,000 worth of products, services, coaching, consulting and advice. I’ve also sold two of my businesses to publicly-traded companies. I think it’s reasonable to say I’ve witnessed and participated in a multitude of different ways to find, get and close lots of customers – but the way that excites me most is using mobile marketing with video and that’s what this book and companion video is all about. Everything I’m going to share with you in this book works face-to-face in person, at live events, conferences, trade shows, associations, in retail or online. The principles are all the same. This book includes a step-by-step video training and copy-paste scripts you can use RIGHT NOW to find prospects and close 4,5 and 6-figure deals! — No software, experience or list required! Originally from tiny Eagle Lake, Minnesota (population 763), Mike barely passed high school, never went to college but taught himself how to program and write video games when he was 14 to escape his small-town roots and become a serial entrepreneur, building software and training programs to help entrepreneurs get attention, found, seen, heard, watched and read on any device, anytime, anywhere and on demand. For Mike, it’s not all about the money – he’s raised over $2.4mm for his wife Vivian’s “Just Like My Child” foundation. He’s also a stage 3a cancer survivor, completing 9 months of chemotherapy and 33 radiation treatments. His doctors say he’s healthy and cancer-free. He’s an eleven-time #1 Bestselling Author, “Marketer of the Year” winner, serial entrepreneur, filmmaker, international speaker, and patented inventor. His products have simplified and automated marketing for over 47,000 small businesses, authors, experts, speakers, coaches and consultants in over 100 countries. Mike has built and sold his last two businesses to publicly-traded companies, including his most recent exits, Traffic Geyser and Instant Customer. His first company, Digital Cafe was sold to the publicly-traded Interpublic Group. Since 2008, Mike Koenigs is known for producing 12 consecutive multi-million dollar product launches, earning over $44 million dollars in sales. His largest launch grossed over $9.1 million dollars in one week. Mike produced over $3.1 million dollars in a single “direct to camera” interactive online livecast. He lives on the beach in La Jolla San Diego with his wife and son, Zak. Want to walk into office for that crucial presentation confidently and deliver your speech without reading off your script? How about doing well for that test without having sleepless nights? Or remembering significant dates and events without being awkwardly reminded by someone else? In Memory Exercises Now, you will be shown in a series of simple and easy step by step techniques to improve your memory and become more productive and efficient — both in life and at work. You will also enjoy a better social network and connections through your progressive ability in recalling names and numbers. Better yet, these memory tips and exercises you’ll discover takes you only 10 minutes each day to maintain and improve your memory, so you can make huge jumps in your career and deepen your relationships with almost anyone. Know why our brain naturally forgets and learn how you can program it to produce better results at work and school that is bound to “wow” the people you know. Get the techniques for you to remember people whom you have only met once in your entire life, and to recall those numbers which are important to you but always seem to slip your mind. Download now and begin to develop that memory that will impress your friends and bring the ultimate convenience to your life. This book is bargain priced from 06/13/2015 until 06/17/2015 Check book price before you buy, as prices can change due to expiration of the sale or other technical issues. Jay Pencha’s senior year is off to a rough start, and he’s not sure what he wants to do with his life. When fate throws Jay’s middle-class family into turmoil, he has no choice but to question everything. Now, armed with nothing but courage and a nerdy best friend from a family of entrepreneurs, Jay is off on an adventure: college visits, scouting out startups, making money, rubbing elbows with CEO’s, and (like always) trying to get Ella to notice him. He’s going to find his path in life, or blaze one heck of a trail trying. Link To Buy College or Not? An easy-to-understand guide to philosophy. 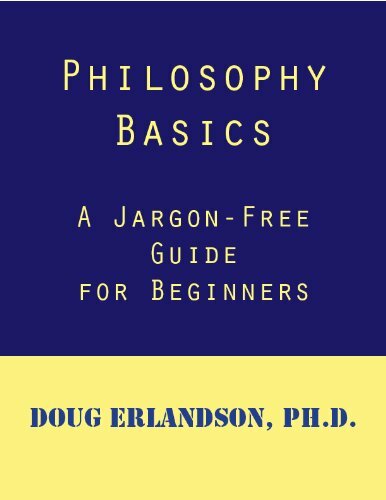 This simple, nontechnical approach covers the major topics of philosophy in a way that even those who have familiarity with philosophy will understand. Topics include: What does it mean to think logically? How do we know? What is the link between the mind and the brain? Do we have free will? What is morality? Does God exist? And much more.